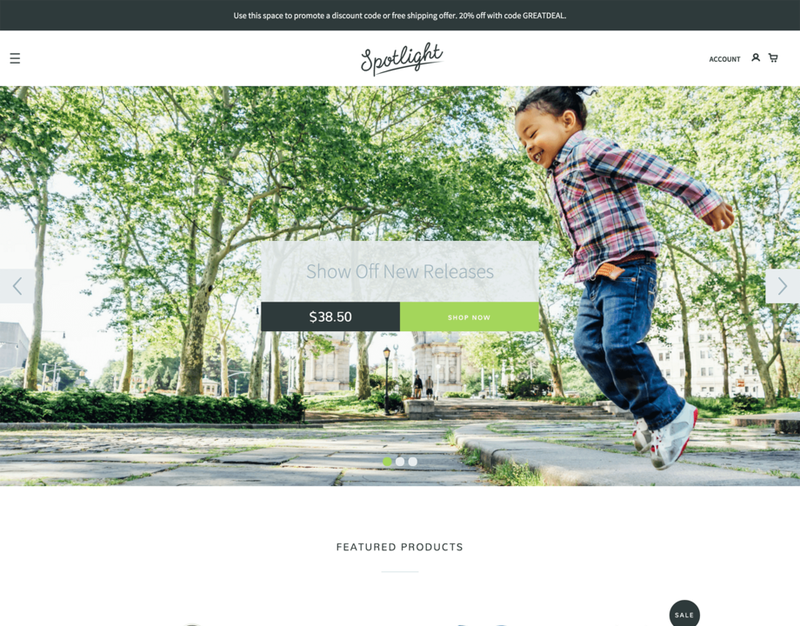 Spotlight is a bold and engaging theme designed to feature your top products and promotions. Its homepage combines stunning, full-width imagery with prominent promotion boxes, customer reviews and quick-add-to-cart functionality. 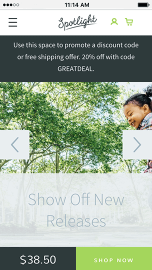 Easily customizable, Spotlight puts the focus on what matters most—driving sales.